To integrate with SendReach, simply follow the steps below. 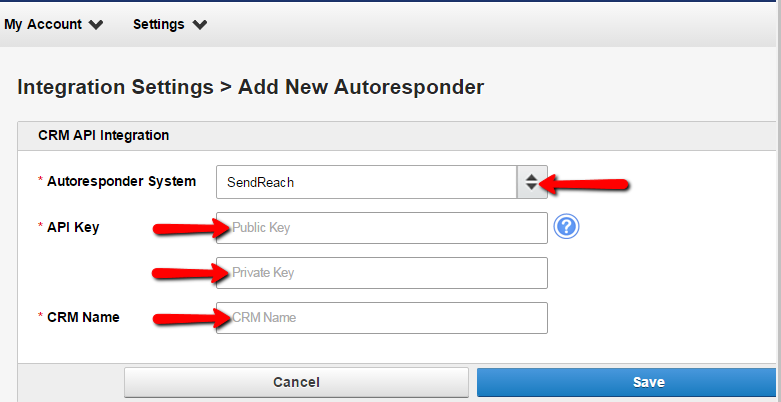 Select SendReach from the drop-down menu for Autoresponder System. 2. Open a new browser and login to your SendReach account. 3. Select API Keys on the left-hand sidebar. 4. Click on the button " Create New API Instance". 5. Copy the Public Key and Private Key from SendReach to Leads Tunnel.